Christianity today, at times, does a poor job of viewing the full person of God. Sometimes we try to work around His less popular qualities. There’s a very narrow focus. It’s all about God’s love, which in itself is a great thing, but God has many more attributes than love. The focus is on showing people you are a Christian and not on telling them how they can become one. And the focus is on God’s forgiveness rather than what needs forgiven and the consequences of sin. Much of what is focused on by Christians (such as love and forgiveness) is not bad; in fact, it’s great. I love it and it drives my love for God. It’s just that when we leave it at the easy stuff and skirt around the things that are harder to grasp, we miss key elements. We miss so much of scripture when we only look at love, or when we focus on having the right actions instead of the right motives. This leads to a shallow Christianity; reference the gospel of wealth (Joel Osteen) or the dangerous belief that God will allow everyone into Heaven. We look so much at God’s love and grace that we forget why we need it. God is just and will not tolerate sin. Already in law school I’ve been forced to examine punishment, and I believe the only way to have a just justice system is for punishment for wrongdoing to be carried out consistently. That is God’s design. That’s how He operates. So what is the punishment for sin? The Bible tells us plainly that WE can only pay for our sin with death. Not just a physical death, but a second, spiritual death that Revelation 20:14 speaks about. The good news is that Christ took our sin in His death; the bad news is, if we don’t accept that, God’s wrath will fall on us. Christians especially try to ignore the God of the Old Testament, thinking somehow He who never changes was different back then. But when we realize that God is all-powerful and the Creator of the universe, we know that He sets the rules. And when those are broken, when any glory is not given to God (because He is also jealous of His glory, the only One who has the right to be), there is a price to pay. Yes, God killed everyone but eight people in a flood. He destroyed the cities of the plain with fire and brimstone. He brought plagues upon Egypt. He killed large numbers of people who disobeyed in the Israelite camp. He eradicated nations. He punished Israel by sending them into captivity. It is there; let’s not ignore it. God did it all because of unrighteous, evil disobedience. A just God administers justice. And that same God still punishes unrighteousness today. Take note of that. This is the New Testament. The very church age we are living in. God’s judgment, His wrath, is still activeLook at A.D. examples. 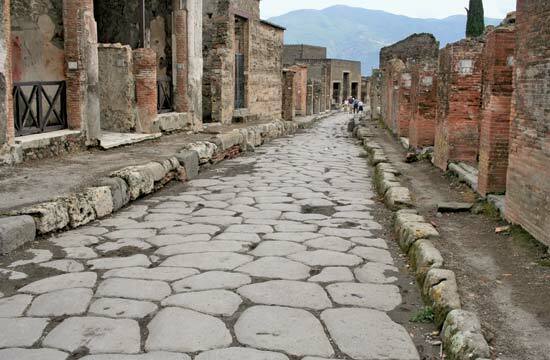 In 79 A.D., the “sin city” of the Roman Empire, Pompeii, was destroyed in a volcanic eruption. The Romans had destroyed the Jewish temple, and many legionnaires were vacationing in Pompeii at the time. Pompeii worshipped phallic gods (look up the term, if you dare) and had artwork of them anywhere you would go in the city. Sexual immorality was rampant. God may not work through plagues like He did in the Old Testament, but His wrath is still apparent. And Christians need to talk about it, because without God’s wrath, there’s no need for His mercy. The greatest and everlasting outpouring of God’s wrath occurs in this literal place. It seems Christians don’t even talk that much about Heaven either, but much further, Hell appears to have been blacklisted. Naturally, if we choose to live in denial of some of God’s qualities such as His wrath, we will live in denial of this. And that is a very dangerous thing. So many believe, consciously or through their actions, that God’s love will always overshadow His wrath. This is true—for His children. But for those who don’t know Jesus Christ as their Savior, God’s love for them will not for a second prevent His just wrath from punishing them. And if we truly love the world and lost souls, we have to tell them that. Part of the lack of mentioning Hell comes from people masquerading as Christians that deny biblical teaching on it. Some go as far as to say that the lost will not go there until after Judgment Day, that there is no consciousness there, it is only reserved for angels, or, in the case of the Jehovah’s Witnesses (who are far from Christian), that it does not exist. This is expressly against what the Bible teaches us. Jesus actually spoke more on Hell than He did on Heaven while He was on Earth. And He let us in on what this place is like. Hell is real, and it is the destination of all those who don’t know Christ. Again, the good news is that Jesus paid for our sin so that we don’t have to go there. But those who don’t accept Christ’s payment will go to this place of torments, this place of eternal fire. If Jesus spoke often about it, we should as well. The gospel is deserving of the whole truth. This subject is pretty simple. “God, give me a girlfriend I can serve the Lord with.” “God, I wanna get married.” “Father, give me this please.” “God, show me your plan for me.” Christians bring all sorts of requests to God, but don’t have the patience to see it through. We pray for the wrong things. We try to get ahead of God’s timing. Society tells us to go out and get what you want. That’s not bad for some things, but when it comes to God fulfilling His plan for our lives, He’s going to use His perfect timing. 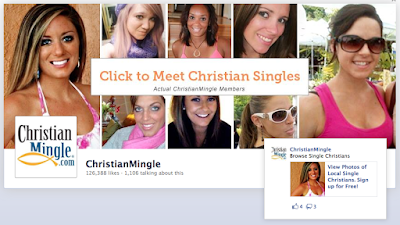 You just have to be single, Christian...and attractive? This is certainly not limited to relationships, but this fascination seems to take up much of the thoughts of younger people. Just look at the oft-joked about ChristianMingle.com. “Sometimes we wait for God to make the next move, when God is saying, ‘It’s your time to act.’ The next move is yours.” The only time God tells us, “It’s your time to act,” is when He’s already given a command. This is true for things like soul-winning. But dating and, eventually, choosing a spouse, is not a command. It is part of God’s plan—something we wait on Him to put in place, pray over, and then act. When we are impatient and act on our own, we are both disobeying God and preventing God from doing His work. Learn to wait on Him, and tell others to do the same. Christians speak often of prayer, but seldom understand it. We say, “I’ll pray for you” or “I’ll keep that in my prayers,” and hardly think about it afterwards. Somewhere along the lines, we forgot just how powerful prayer can be. It is the very way in which we speak to our Maker and our Father. It is what God designed for us to have contact with Him. And we neglect it so often. Christians have turned prayer into an autopilot exercise. We pray the same thing before we eat. We pray in the same format until we don’t even realize what we’re saying. And our words become empty. We have limited prayer to an occasional need or trial. And when we don’t get an answer, we make up an excuse such as, “It wasn’t God’s will.” But the Bible never mentions that God will answer our prayer if He wants to. “…[Y]e shall ask what ye will, and it shall be done unto you.” If we know God’s will, we will know what to ask Him. Then, when we ask God for something, knowing it is in His will, it WILL be granted to us. But there are neglected stipulations to this promise. With any of God’s promises, there is our side of the bargain. “If ye abide in me…” Abiding in Christ is nothing less than our wills aligning. We are daily surrendered to Him, only giving Him the glory, and doing everything to please Him. We live in constant communion with Christ in an intimate relationship. …[A]nd my words abide in you…” It is not only the relationship with Christ, but hiding His words in our hearts. We are to know His Word, study it, and meditate on it. “So if I ask to be rich, it’ll be granted?” You miss the point. When our wills align with God’s, we will only ask things which He wills. We only seek that which He wants. If we ask for things because of our selfishness, we will not receive it. Christians need to understand the requirements for prayer, and the power it wields with God Himself if we use it. Christians today love to focus on worshipping God. But something—namely, the most important thing—is overshadowed. Where is it we learn that God deserves our worship? Where are we told of God’s love and all His other attributes? Where is it that the very gospel is spelled out? It is the Bible, God’s Word to mankind. When God completed His Word, He stopped speaking to mankind directly, because, as Peter said, “We have also a more sure word of prophecy…” (II Peter 1:19). Better than any direct revelation is God’s written Word. We would have nothing—no gospel, no knowledge of God, no directions for life—without the Bible. And yet we place it below so much else. Just how important is God’s Word to God? God’s magnificent, holy name, though all-important, means less to Him than His Word. God’s Word living and working in our lives ought to be the principle thing to Christianity. This does not downplay anything else, but elevates that which ought to be elevated.